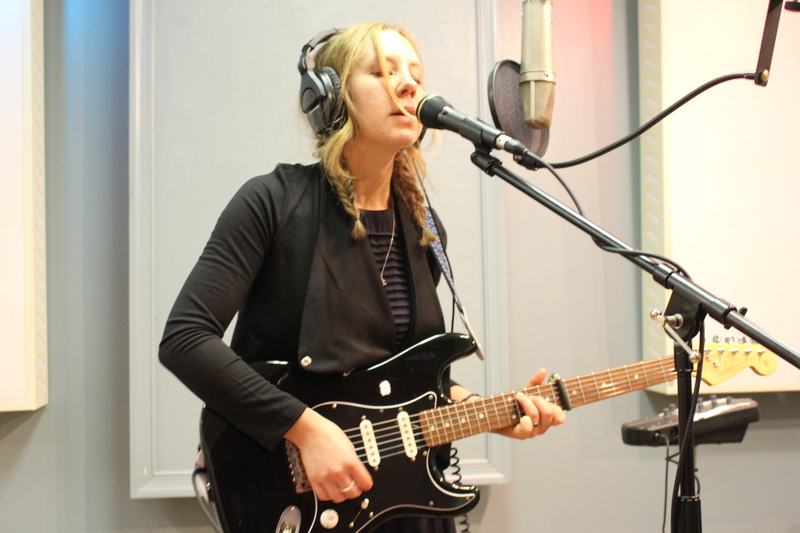 Lyla Foy Brings her Haunting Songs to Echoes Live. A lot of modern singers can’t bring it live. They need backing tapes, ghost vocals, and rhythm tracks, if not more. I remember one live Echoes session where the only sound in the studio was a lone voice, barely. Everything else, vocal harmonies, bass, guitar, drums and key was coming off a computer even though a drummer, bassist and keyboardist were in the studio. The result was a performance that aspired to the perfection of a CD, but was ultimately lifeless; an imperfect artifact of a perfect moment. But I knew that English singer Lyla Foy could bring it live when I saw her crammed with two bandmates into the back of a London taxi for the renowned and quirky “Black Cab Sessions.” She was recording as Wall then, but she lost nothing of the atmosphere or vulnerability of her music in this stripped down situation. When she came to Echoes to play music from her Mirrors the Sky album, it was still just a guitarist/bassist, drummer and Foy singing and playing lead. No phantom voices or rhythm loops. And the performance is powerful. Standing barefoot with a black Fender Stratocaster slug around her neck, Foy probed deep into her songs of loss, longing and love. There was a reason we picked her album as the Echoes CD of the Month in April, and you can hear it tonight. Read a review and hear tracks of Lyla Foy’s April CD of the Month, Mirrors the Sky. 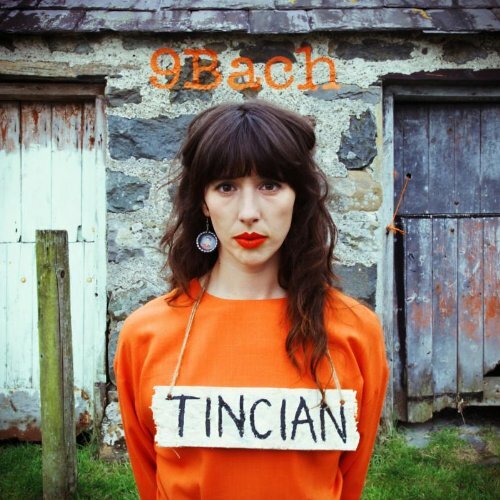 The Welsh Band 9Bach has a new CD on Realworld Records. It’s been a while since we’ve featured a Welsh band on Echoes. The last one I recall was Ceredwen, a beautifully produced project that released two albums in the late 1990s on the Real Music label. Ceredwen featured the compositions of Andrew Fryer with Renee Gray singing in Welsh. There’s been a few individual artists from Wales along the way, guitarist Gareth Pearson and synthesist Robert Fox among them, and I’m sure there are more but 9Bach is the first in a while. Although 9Bach’s Lisa Jen sings entirely in Welsh, this isn’t traditional music. It just uses traditional forms and modalities as a staging ground for broader compositional concerns. 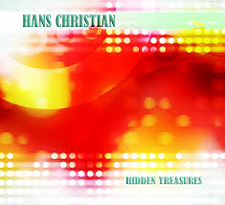 You can hear them on their second CD, Tincian which means a resonant sound. The name 9Bach, by the way, is pronounced the way it looks although it’s meaning is something vaguely like “little grandmother.” We’ll hear 9Bach and more tonight on Echoes. 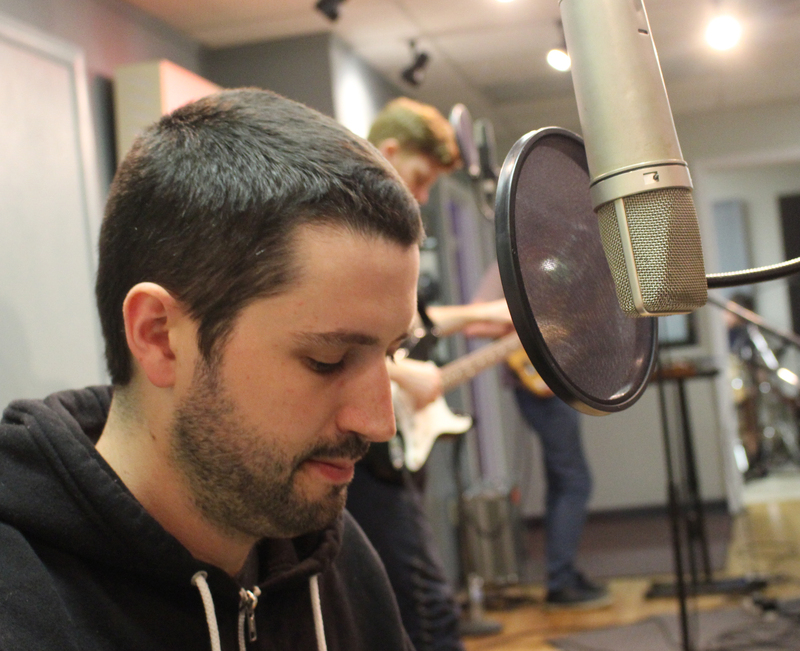 Sean Carey has spent the last few years stroking drums and providing harmony vocals behind dream folk artist Bon Iver. So it’s not surprising that when he records as S.Carey, his own music has that same slow motion melancholy feel. 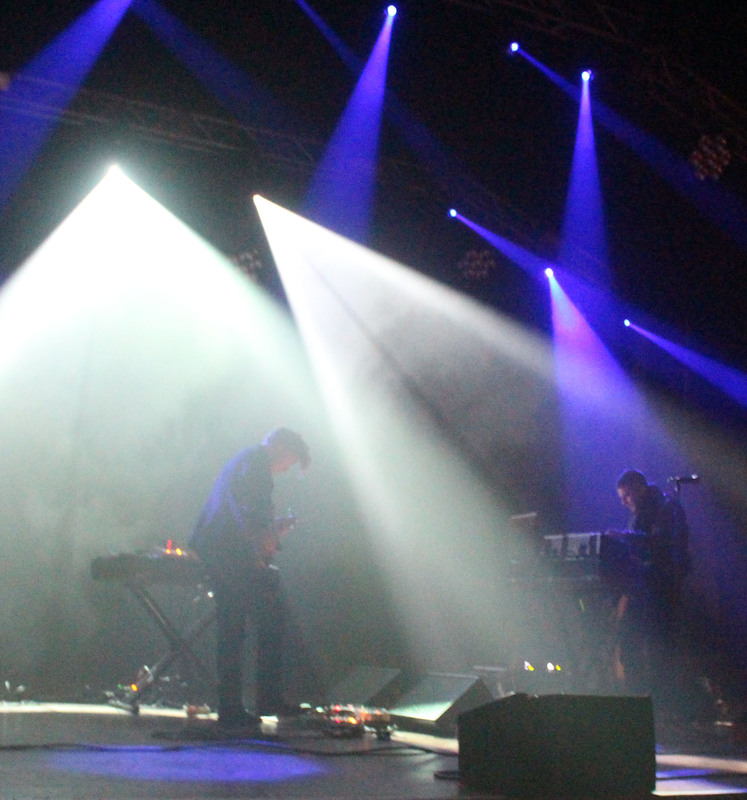 But Carey brings some other elements to his new album, Range of Light that set him apart. He writes songs about his family and merges them with imagery drawn from nature and the writings of environmentalist John Muir. We’ll hear him do that when he plays live on Echoes. 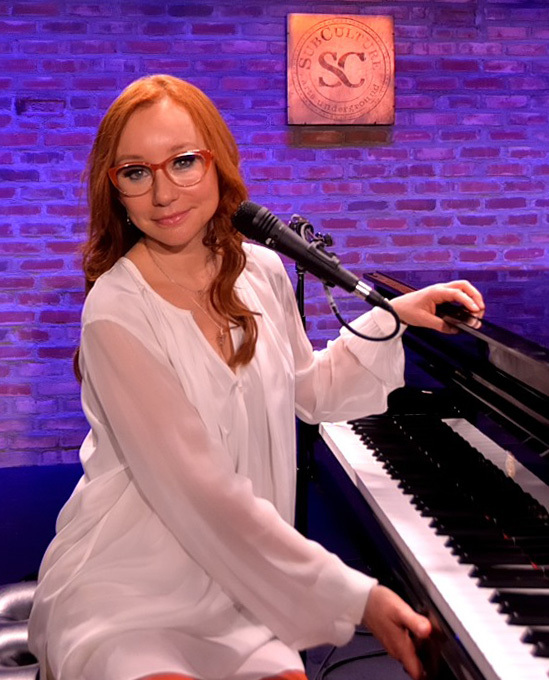 Tori Amos is an icon among singer-songwriters. Her 1992 solo debut, Little Earthquakes still resonates more than 22 years later and now that she’s hit 50, Amos is showing no signs of mellowing in a music that is as politically and socially charged and as musically adventurous as ever. Tomorrow, May 13, she’ll release Unrepentant Geraldines, an album that modulates concepts of aging, sexism, religion and love, although that might sometimes be hate. Sitting at a Steinway grand piano, Tori played three songs for us including one she says she hasn’t performed live yet, “Wild Ways’ and talked extensively about her new music. We also had a longer conversation and that will run on Echoes in forthcoming weeks so watch for that. 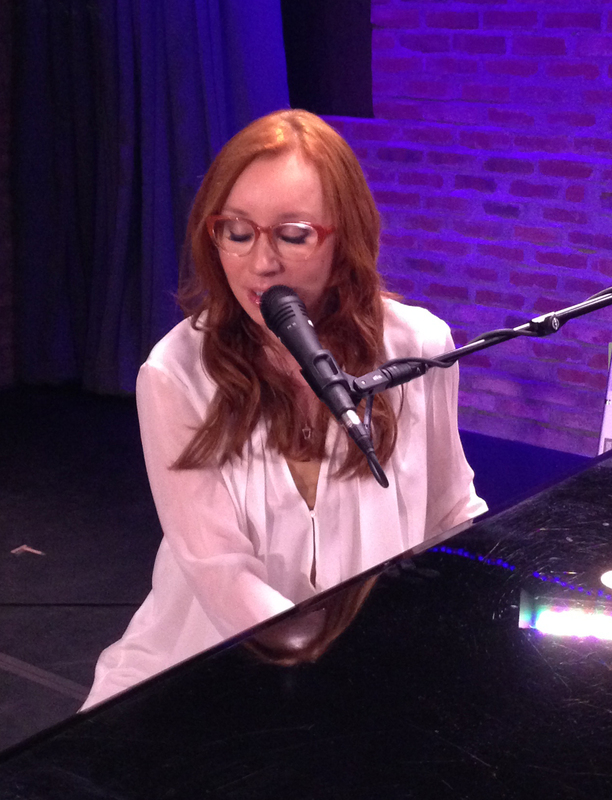 Meanwhile, enjoy our exclusive live performance with Tori Amos tonight on Echoes. 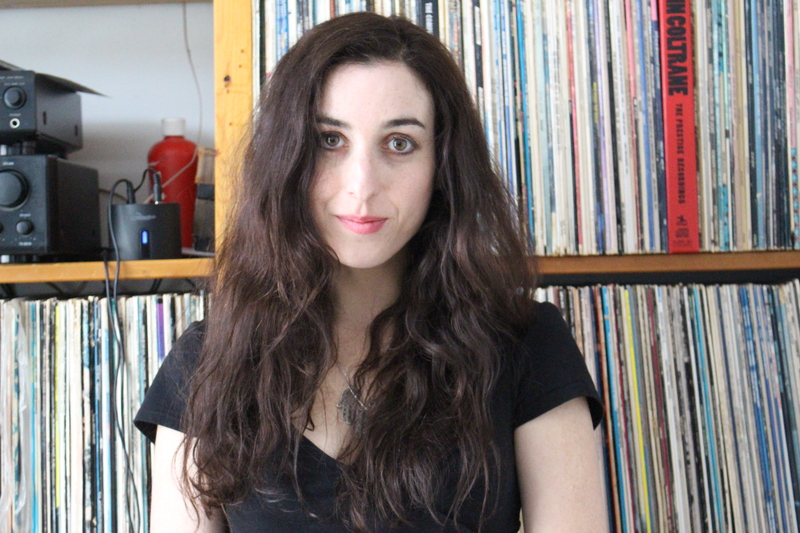 Singer-Songwriter Marissa Nadler in Echoes Podcast. Her mother is an abstract painter. She grew up on Nirvana and Mojave 3 and recorded with an experimental Heavy Metal artist. Those are all aspects you might not expect from a women who makes gently melodic, atmospherically mysterious, and lyrically intriguing music, playing on fingerstyle guitar with a voice that seems to emerge from around a shadowed corner on a dark night. Marissa Nadler is a singer-songwriter of delicate dimensions and deep atmospheres. Her latest album, July, is the story of one year in her life, from breakup to reunion. Today on Echoes she talks about her album and turning visual imagery into evocative music. You can hear her talk about it on the Echoes Podcast. Richard Leo Johnson first came to our intention in 1999 when he released a pair of albums on Blue Note Records. He was a ferocious finger-style guitarist, taking the techniques developed by Michael Hedges and pushing them further. Then he went off into a much more rustic direction, playing old acoustic guitars and adopting character like Charlie Shoe and Vernon McAlister. He created stories around these men and inhabited them on albums like Who Knew Charlie Shoe and The Legend of Vernon McAlister. In the process, Johnson created a wholly original music that was as dusty as a hobo camp and as avant-garde as a Frank Gehry building. Now Johnson has returned with a new CD called Celeste that tells the tale of Vernon McAlister’s alien abduction. 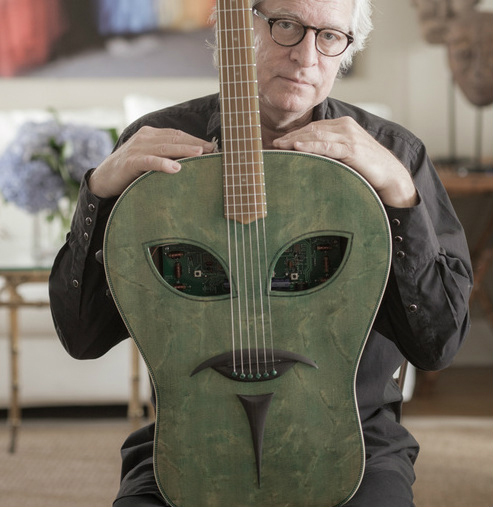 He plays the music on a Martin custom “alien” guitar that includes a theremin. If you know the properties and playing techniques of a theremin, I don’t see how this can work, but you can hear it tonight on Echoes. Here he is whipping it out four years ago on 12-string. We’ll also hear new music from Erik Scott, the erstwhile bassist with artists like Alice Cooper and Flo & Eddie and co-founder of the alt-rock group Sonia Dada. He’s released his second solo album, ….And the Earth Bleeds featuring his beautiful, melodic bass playing. You can hear it on Echoes tonight. Singer-Songwriter Marissa Nadler tonight on Echoes. Her mother was an abstract artist. She grew up on Nirvana and Mojave 3 and recorded with an experimental Heavy Metal artist. All aspects you might not expect from a women who makes gently melodic, atmospherically mysterious, and lyrically intriguing music, playing on fingerstyle guitar with a voice that seems to emerge from around a shadowed corner on a dark night. Marissa Nadler is a singer-songwriter of delicate dimensions and deep atmospheres. Her latest album, July, is the story of one year in her life, from breakup to reunion. Today on Echoes she talks about her album and turning visual imagery into evocative music. You can hear her talk about it tonight on Echoes.